My latest; this is the link to the Northampton Patch. If at first you don't tan, try, try again. There’s Cherokee blood in my family, but I didn’t inherit my dad’s skin tone. In fact, I’m so white, I glow in the dark. Having been told that too much sun is bad for you, I avoid sunlight like a vampire. Still, I want to look tanned, and have at least some resemblance to my family. If I can’t get it from the sun, I’m getting it from a bottle. I went to tanning salons and paid a good amount of money to be spray tanned. They called it something like “UV-free tanning.” But honestly, that’s a nice way to say that like a wall, you’re getting spray painted. The professional results were nice, but in order to maintain the look, I was instructed to return every five-six days. That would get expensive, so that was out. I went online and searched for professional products to duplicate my salon experience. I stumbled upon an airbrushing system. It looked terrific, and the Web site crowed that it was almost the same system the salons use. Sadly, it too was pricey. I came across something that purported to be a spray tan in a can. It, too, claimed that I would experience salon results without the expense. They backed it up with glowing recommendations and as you may know, I believe just about anything. I placed my order for the buy one, get one free product and watched the mail like a child waiting for the ice cream truck. Even though I had the flu and was running a fever of 101°, I had to get started. I pulled out the instructions, as I meant to follow every single one of them. For once. I was de-tanned and scrubbed. I got into the shower and Matt began to spray. To my horror, the spray turned into little balls that streaked down my skin. Of course, I blamed Matt. I thought he didn’t shake the can hard enough. He shook it again, took aim, and sprayed. I gasped as little balls of golden tan were rolling down my legs. Over and over he sprayed but the solution kept balling up, streaking down my body like an out-of-control luge. I figured that the can must be defective, so I made Matt get the other bottle and try again. I was NOT giving up. Turns out, the brand I used left a moisturizing layer of Vaseline; I was a human slip and slide. Not even commercial grade paint could have gotten through. Now, if only I could remember the name. 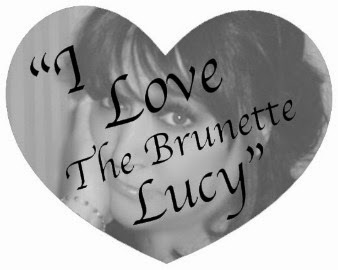 Follow Tamara, The Brunette Lucy, on Facebook or Twitter. Nice beauty point you have taken on spray tan to discuss here. Thanks for your great beauty support.